SAP S/4 HANA provides various flexible reporting options. You can select between different reporting options in the backend and the frontend system. You can perform real-time reporting on top of Simple Finance system. Reporting can be done using SAP BusinessObjects reporting tools such as SAP Lumira, or reporting via SQL or Smart Business Apps. You can also use embedded BW to support business processes in Business Suite such as Integrated Business Planning for Finance, and support for SAP BW OLAP scenarios. 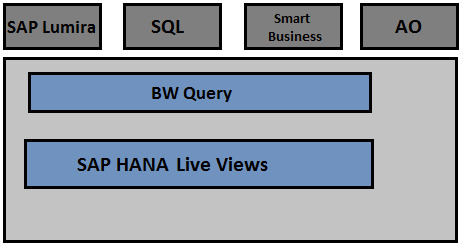 When you use SAP BW embedded option for reporting, the only drawback is to manage BW technology stack. 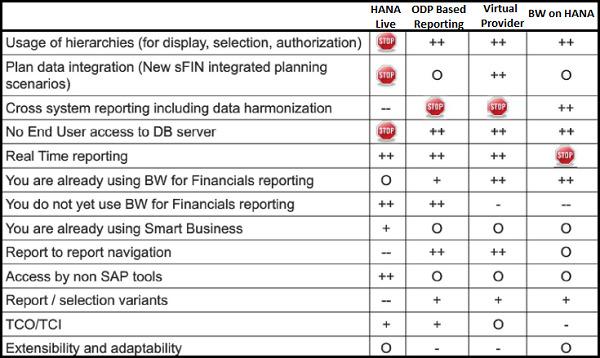 In SAP S/4 HANA Reporting options, you have few of the tools – Crystal Reports, Xcelsius, AO and BEx in the above list which doesn’t support Cloud deployment model of S/4 HANA. 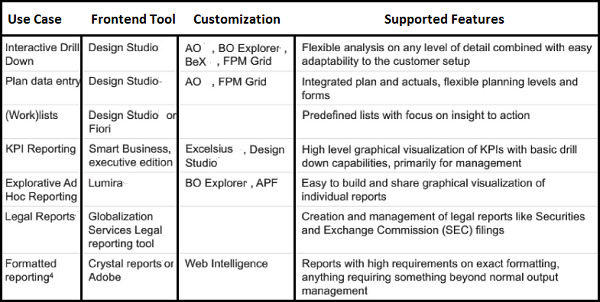 Most of the tools have separate license required for reporting purpose – Web Intelligence, Lumira, BO Explorer, AO, BO Explorer, BeX, and Xcelsius. S/4 HANA includes limited runtime license with Simple Finance for Design Studio as a frontend reporting tool.